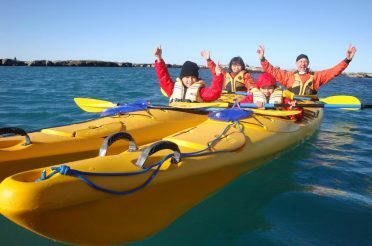 Having arrived to Picton from Wellington on the early morning ferry, I had plenty of time to drive to Havelock and connect with the afternoon Hobbit kayak tour from Pelorus Eco Adventures. This gentle, family-friendly kayak tour was certainly a step back on the adventure scale from the white water rafting of the days before, and it was a great way to fill in the afternoon before finishing my island-crossing travel day by relaxing at the warm and welcoming Blue Moon Lodge in Havelock. I was up early in the morning, though, back on the white water rafting itinerary with a big driving day ahead of me. I took the scenic, 5-hour route from Picton to Greymouth via the stunning coastal road of the Wild West Coast, stopping off for a photo snap and a snack at Punakaiki, home of the famous Pancake Rocks. I had been in touch with Marty and Bruce of Wild Rivers Rafting in Greymouth, who gave me the slightly unusual instructions to meet them the next morning “at the iron bridge between Westport and Murchison” for an epic day of white water rafting on the legendary Buller river. The mighty Buller has no dams, and no controls, so it’s flow and raftability depends entirely on rainfall – and that is no small matter on the West Coast of the South Island, one of the rainiest regions on Earth, with average rainfall ranging from 2,000 up to 10,000 mm each year. A night of steady rain could change the Buller river white water rafting trip from a grade 2 splash one day to a grade 5 monster the next. 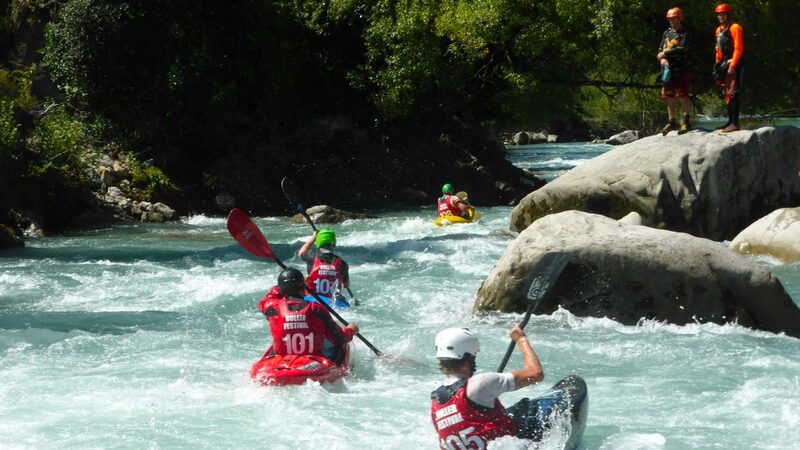 Unsurprisingly, a lot of white water kayak tours have to be called off or delayed at the last minute here, so it’s good to keep in contact with the guides and organisers (which is easy to do). The good news is that ‘Coasters’ (residents of the West Coast) aren’t exactly new to heavy rain and life goes on as normal, so even if the weather keeps you off the river it won’t keep you from enjoying the many quirky shops, cool cafes, and incredible natural wonders dotted around Greymouth, Punakaiki, Westport and beyond. Luckily for me, it hadn’t rained all night, but there was plenty of water in the river to keep a steady flow of grade 2 and 3 rapids for my white water rafting trip. Given the clear weather, the tour (and the others for that day) were all booked out and this is obviously a popular spot for white water rafting in the South Island. It’s not hard to see why, with incredible gorge and cave landscapes laden with vibrant, deep green trees and droopy ferns, all well fed by the steady rains. In such a wild landscape, I could easily imagine how things can get serious with a bit more rain, so it’s wise to keep on top of the weather – however, the guides I was with were top-shelf experts and confidently assure you that even if it’s your first time white water rafting, you are in safe hands. 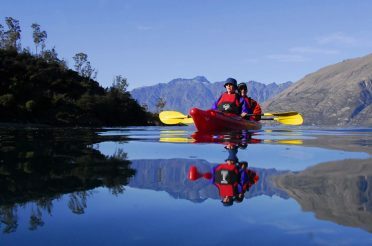 After a three-hour drive across to Hanmer Springs – much better known as a thermal spa resort than a white water kayaking destination – I was back on the water again the next day, this time bouncing down the breathtaking Waiau river, which twists and turns between narrow sheer gorges and expansive, endless open valleys. Fed from the mountains through Lewis Pass and connecting with the Hope river before flowing onto Hanmer Springs, the upper reaches of the Waiau river can offer some challenging stretches (‘The Narrows’ is one particular hairy stretch, a short, narrow gorge with grade 4 rapids accumulating at its entrance – some people got off the rafts here to walk around and rejoin the tour on the calmer stretches, so it’s really doable even if you’re not the most avid thrill seeker), with a steady combination of grade 2 and 3 rapids throughout the white water rafting tour I was on with Hidden Valleys. 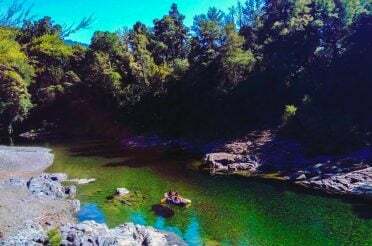 The name 'Hidden Valleys' really sums up this tour perfectly, as for me it represented a slight change from the gorge and rainforest scenery of other rivers, offering in addition the wide river plains and broad valleys onto which the Waiau would often open. Between breathtaking drops, these panoramas represented a sense of total calm and solitude. So, for anybody with a constitutional makeup combining adrenaline junkie and landscape photographer, this might be the tour for you. Following an obligatory (and very welcome) soak in the hot pools at Hanmer Springs, Christchurch was the next stop on my white water rafting self-drive itinerary. From here I would be heading out to tackle perhaps the biggest rafting challenge on the itinerary: the Rangitata river. 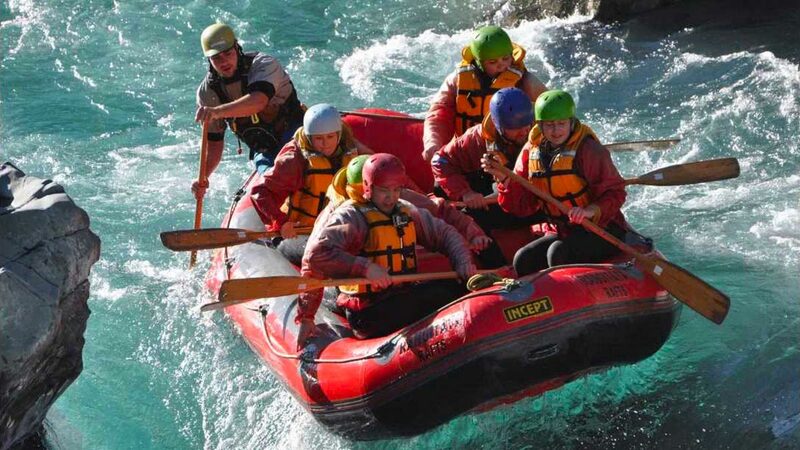 Rangitata Rafts are one of the top white water rafting and kayaking operators in the South Island, and their Grade 5 Rangitata Gorge Adventure tour really has it all. For starters, the breathtaking 2.5 hours on the water, attacking exhilirating grade 5 rapids through the tight, twisting rocks of the Rangitata Gorge (although the first part of the tour was on calmer water higher up the river, where the guides make sure you’re well equipped, and well warmed up before hitting the big stuff! ), where stark rocky outcrops leer out onto churning turquoise water. 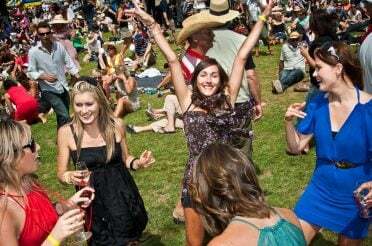 But I mean they really have it all – think hot showers and a hearty kiwi BBQ waiting for you at the finishing point of the tour! I can tell you that these are most welcome sights after the paddle. 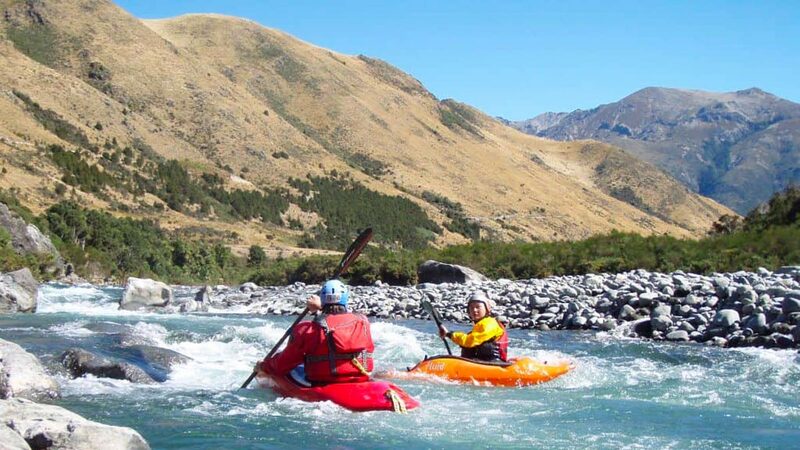 Given the character of the river, Rangitata Rafts have a few restrictions (primarily age, 13+, and weight, 40kg+) and requires a fair level of fitness and swimming ability. But otherwise, since they have all the gear and white water expertise you could require, there’s no experience necessary to tackle this unforgettable challenge. 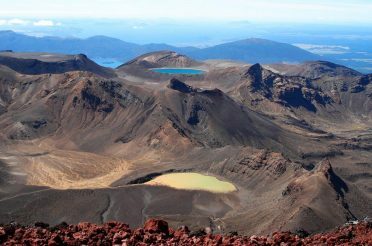 It would be rude and unjust to the other amazing locations listed here to say that I saved the best for last on my South Island white water rafting and kayaking tour. But in addition to Queenstown being a convenient place to finish your self-drive tour given that its busy international airport allows you to fly just about anywhere, it’s just hard to argue against the embarrassment of riches that Queenstown and South Westland have when it comes to adventure tourism in New Zealand. And white water rafting is no exception. 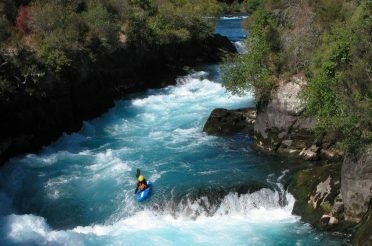 With so many great options and trusted white water rafting tour operators on offer in the area, including of course those on the world-famous Kawarau and Shotover rivers, I really was spoiled for choice. In the end, considering I had put my body through a fair bit, I decided to treat myself to a tour going a bit further afield, with a few more luxury comforts than I had become used to. The Landsborough valley and river is well off the beaten tourist track, which is something hard to come by around Queenstown. 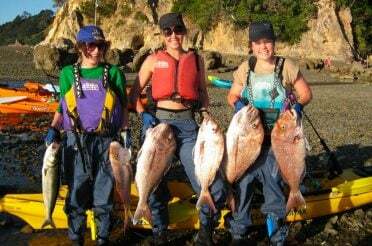 It is a hefty river cut steeply into the sides of a glacial valley, drifting through braids, narrow fingers, and broad sections for about 70 km off the Haast river straddling the provinces of Otago, Canterbury, and the West Coast. In such an area of largely untouched natural beauty, I was treated to some serious modern comforts. The 3-day Landsborough Wilderness Experience white water rafting tour combined days battling some rapids, as a team, on an inflatable raft, with evenings sharing hors d’oeuvres, butterfly leg of lamb with Greek-style potatoes, and fine New Zealand wine over firelight at the end of the day. 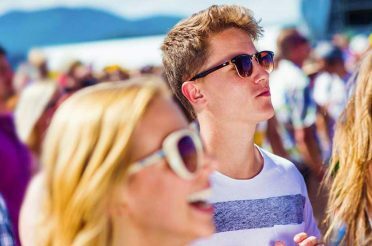 There were also several helicopter rides involved, which in the first place made for a welcome change from body-powered transport, but more importantly offered truly spectacular views over the area. 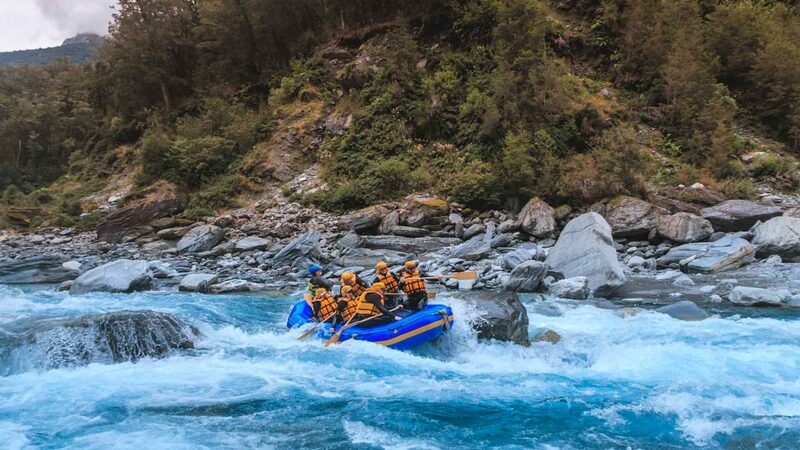 The combination of wild scenery and relaxing comfort was a fitting way to finish a rewarding and memorable white water rafting tour of New Zealand.